Andrew Moret claims police are framing him for murder after 2015 shooting outside police station. 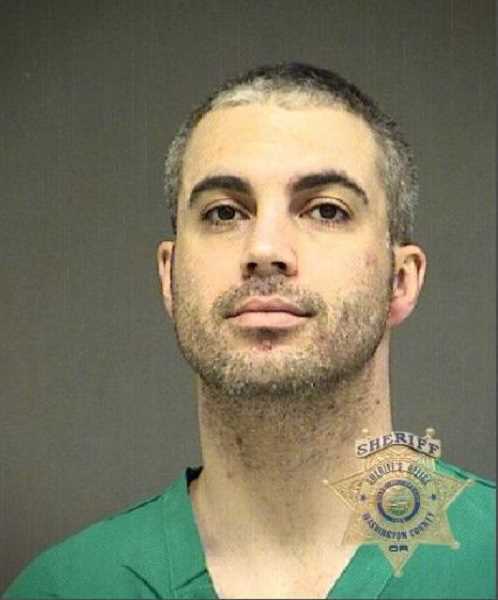 A Hillsboro deli worker charged with murdering a man outside Hillsboro Police Department headquarters plans to defend himself in court when his case goes to trial next month. Andrew Guy Moret, 34, faces charges of unlawful use of a gun and murder, a Measure 11 crime with a 25-year prison sentence if he is found guilty. 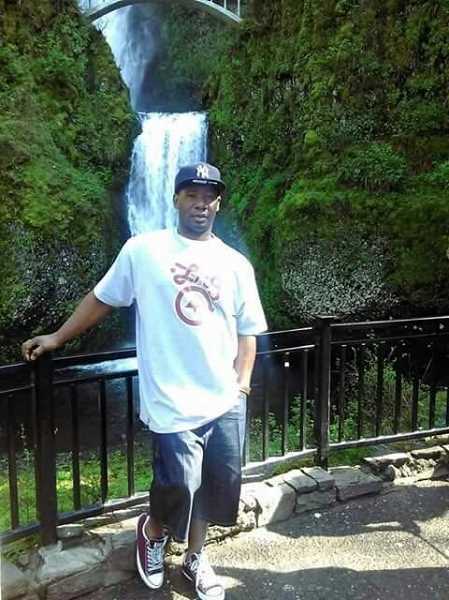 Moret is charged with shooting and killing Alonzo Gregg, 34, outside Dandy's Deli, a video poker establishment in the same parking lot as the Hillsboro Police Department. Prosecutors allege that Moret was selling methamphetamine from the deli and got involved in a "turf war" with Gregg over who would sell drugs from the area. But in a phone call to the Tribune on Wednesday, and in handwritten documents Moret has submitted to the court and this newspaper, Moret says he was acting in self-defense, and alleges a complex conspiracy to cover up his innocence involving Hillsboro Police and the Washington County courthouse where he will be tried. Since his arrest, Moret has been committed to the Oregon State Hospital in Salem twice, where he was treated for mental health issues. His most recent commitment to the hospital was in February 2018, after a Washington County judge deemed him not fit to aid in his own defense. Evaluators in Salem said Moret's mental health interfered with his ability to rationally understand the charges against him. He was released from the hospital last year and returned to Washington County Jail. "The only reason they committed me is because I told my first attorney that the cops are framing me for murder," Moret told the Tribune in a phone conversation from the county jail on Wednesday, Jan. 23 "They said I was delusional." According to court records, Moret has struggled with mental health issues since his teens, warning his mother at age 17 that he could read people's minds. In his 20s, he told his parents he heard voices and began exhibiting paranoia. Moret fired his first court-appointed attorney after he suggested Moret accept a plea deal where he would plead guilty except for insanity, he told the newspaper. After a second court-appointed attorney moved out of the area, Moret decided on Jan. 9 that he would represent himself. "I'm not a bad guy," Moret told the Tribune. "I'm a full-time college student with a full-time job. It hurts me the way they are pushing me down and keeping me quiet." Moret was working at Dandy's Deli, 1075 S.E. Baseline St., on Sept. 13, 2015 when he allegedly shot Gregg, who was a regular at Dandy's, according to prosecutors. A nightclub next door had closed for the evening and a group of people were outside near Southeast Baseline Street at about 2:20 a.m., when an argument broke out between Gregg and Moret, police said. Moret allegedly fired several shots from a .45-caliber handgun, striking Gregg nine times. Prosecutors say Moret was selling drugs from the deli and allege Gregg, who also sold drugs in the area, was encroaching on his territory. Moret paints a different picture. According to documents Moret sent to the Tribune, Gregg — not Moret — had been dealing drugs from the location for months. He claims Gregg tried to conscript him into selling drugs, but Moret refused. After that, Moret claims Gregg threatened to kill him on multiple occasions. Moret said Gregg — who had a criminal record including convictions for burglary, assault and strangulation — was armed with a handgun when the two got into an altercation that night. Moret said Gregg tried to kill him, but Moret shot first. "He tried to draw his gun out to kill me," Moret wrote in a statement provided to the Tribune. "I immediately started firing." A police officer outside the station at the time of the shooting rushed to the scene and discovered Gregg lying dead on Baseline Street, according to police reports. Moret had already fled the area. He was arrested three days later. Hillsboro Police and prosecutors dispute Moret's claims Gregg had a gun. No gun was found on Gregg's body or in the area according to Hillsboro Police or state prosecutors. Moret claims police removed that evidence from the scene in an attempt to frame him for murder. "The Hillsboro police are corrupt," Moret wrote in a statement provided to the Tribune. "They were the ones letting this guy deal drugs in their parking lot. They are the ones who sat and watched everything from the lot." Moret — who describes himself as a "civil rights expert" — said he was running an "independent investigation" into corruption within the Hillsboro Police Department at the time of the shooting. Moret claims the department, the district attorney's office and the Washington County Circuit Court are attempting to frame him for murder to cover up the corruption he uncovered. Moret doesn't go into details about what he believes was going on within the department, saying that information will come out in court, but alleges police officers were involved in, or knew about, the drug sales. He claimed police officers hired Gregg to kill him after he refused to deal drugs. "They try to get me to deal drugs in their parking lot, and when I refuse they send an interstate thug to kill me," Moret wrote in documents sent to the Tribune.. "Then, when I stop my assassin, they charge me with his murder." Sgt. Eric Bunday, a spokesman with the Hillsboro Police Department said police have investigated a handful of drug-related cases in the immediate vicinity of the police station, but declined to talk about Moret's accusations about an alleged cover-up, saying the pending trial restricted what he could say on the matter. Moret has also claimed that Washington County judges are actively conspiring against him by removing his bail and denying him "due process" by delaying his trial. Since taking over as his own attorney, Moret has written several letters to judges in the Washington County Courthouse, accusing them of being part of the conspiracy. He has asked the Oregon Supreme Court to weigh in on his case. Opening statements in Moret's trial are expected Feb. 5.